We have been working on a number of men’s velvet jackets, dinner suits, sports jackets and wedding suits in recent weeks. This rich fabric is associated with nobility. Inspect any painting of Henry VIII, or similar from the 16th Century and there are many shades and textures that represented in those oil paintings that are likely to be velvet. King Richard II of England directed in his will that his body should be clothed in velveto in 1399. Today, we see a more modern use of this plush fabric. Due to the tufted nature of its weave, the fabric traps air and helps the wearer to stay warm. 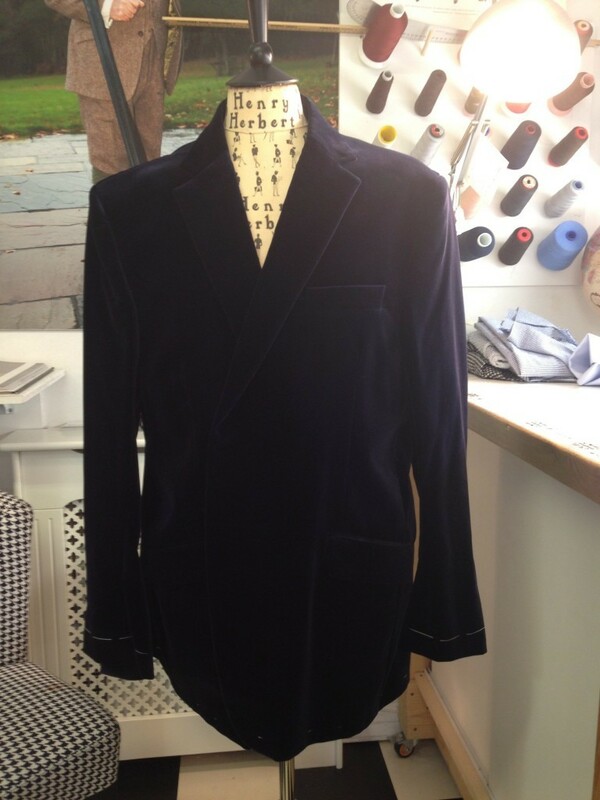 As such, we often see it requested in time for the cooler months of autumn and winter, such as this velvet jacket (below), which is at the forward baste fitting stage. (You can just about see the large white stitching.) This will typically be followed by a final fitting where any last (usually minor) adjustments are made. 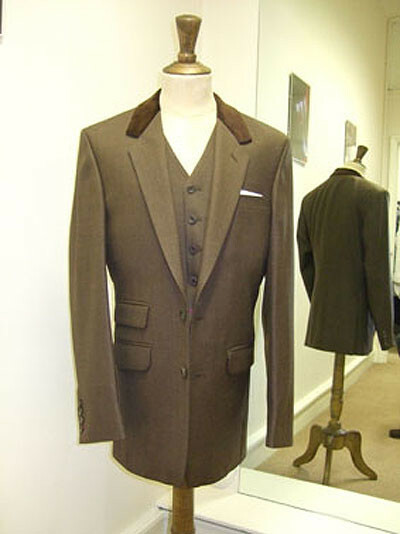 We are frequently asked to accent a jacket lapel or collar with velvet trim such as in the example below, on the collar of the brown three-piece suit. 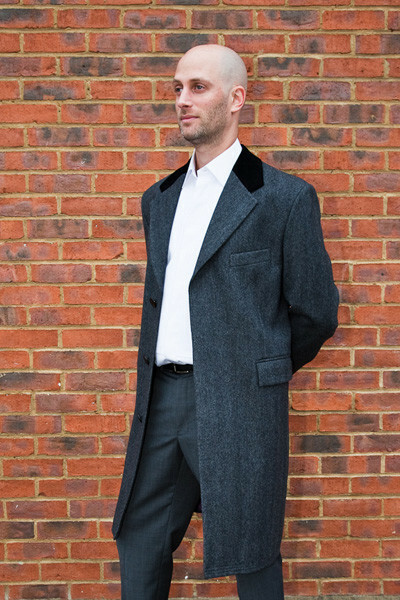 Another example is a black velvet collar on grey overcoat, which we think is luxurious accent that will easily differentiate an overcoat and distinguish its wearer. Black velvet trim or piping on black jackets, tuxedos, dinner jackets and overcoats work well – the contrasting textures of velvet on wool add subtle but interesting detail. 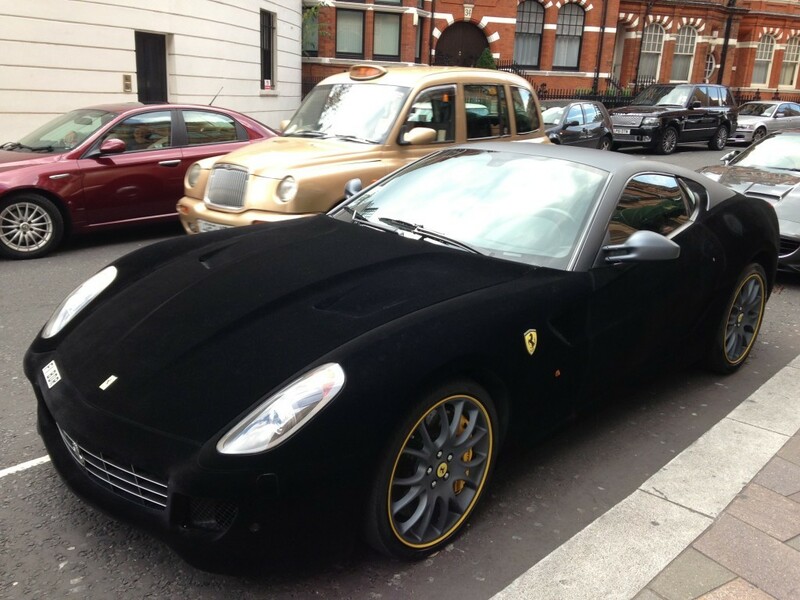 Spotted on the streets of London: a velvet-covered Ferrari. An interesting use of what must be many metres of this tactile fabric. Will you be adding a velvet touch to your jackets and overcoats this autumn? To discuss these and other options with a member of the Henry Herbert tailoring team, book a consultation at a time that is convenient for you. A touch of luxe: the velvet jacket. - Bespoke Suits By Savile Row Tailors.